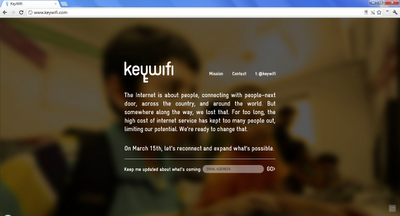 KeyWifi wants to provide internet access to many more people that can not afford it today under the current model. 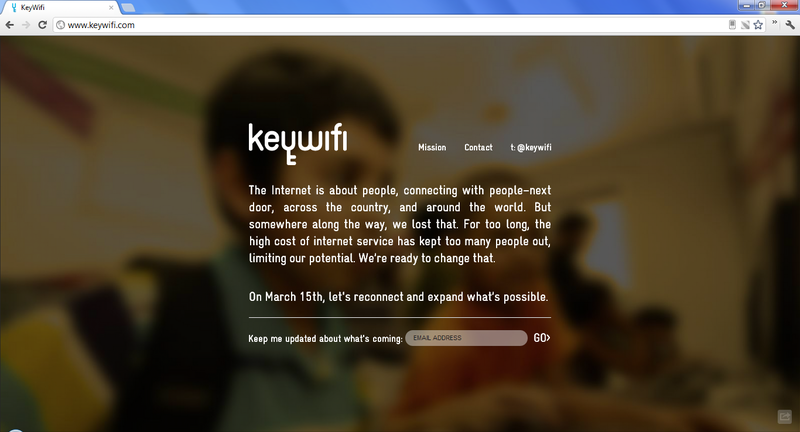 On March 15, 2012 they will expand the potential that an open internet can offer. KeyWifi will do this by using a web-based peer-to-peer internet access platform that allows people to rent out their WiFi signals. No software or hardware is required and connectivity is provided without contracts. KeyWifi was founded by Adam Black. A user will pay KeyWifi a monthly fee of about $10 for access to the mesh network. Their system will locate and connect to individual local private routers which means that people do not give out their network password to the end user; I was happy to hear this. About two-thirds of the fee is payed back out to the hotspot owners who receive a proportional amount based upon the usage of their connection. A possible road block is that most internet service providers prohibit the sharing of your connection. You can join them on Twitter and Facebook.